You know that old saying, a star is born? That really applies to me. Only I am not just any star, I am the most important star. 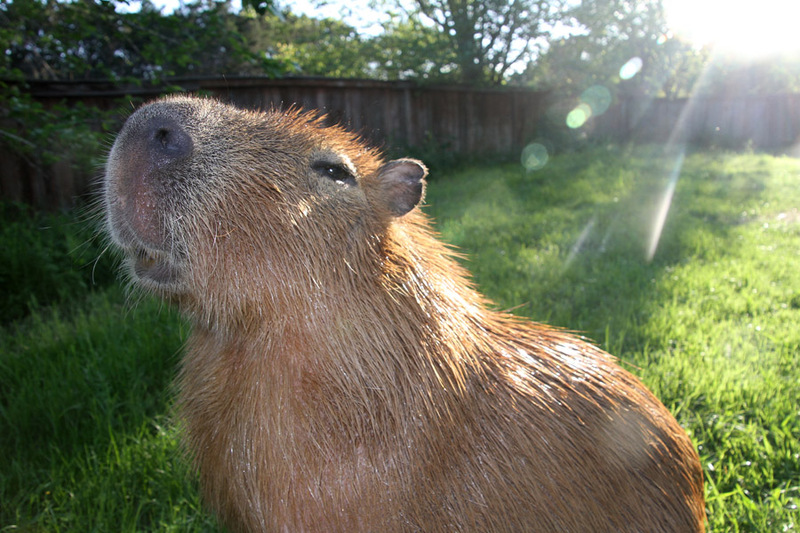 I am The Sun! 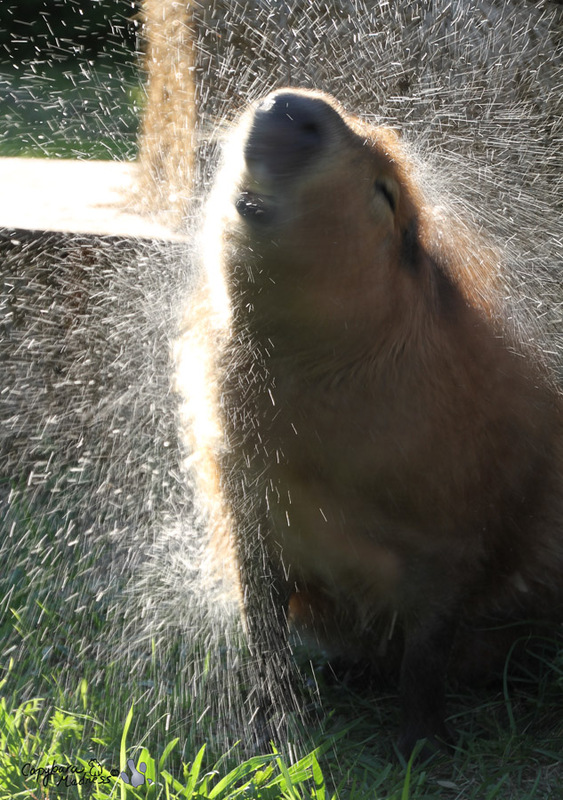 You can see how the light loves my form, my face, my fur! Is it any wonder that fame seeks me out? Being such an important star is a difficult job. 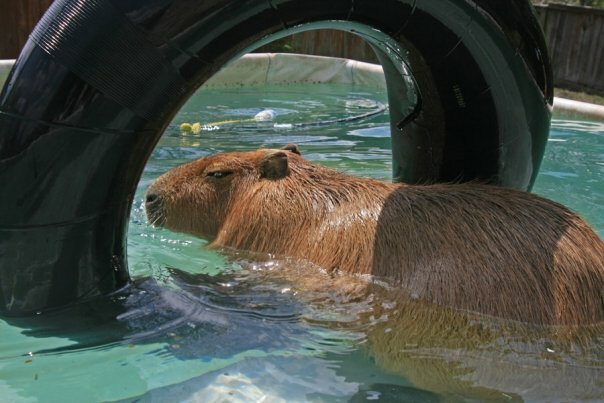 Exhausting really, for both me and Super Capy. 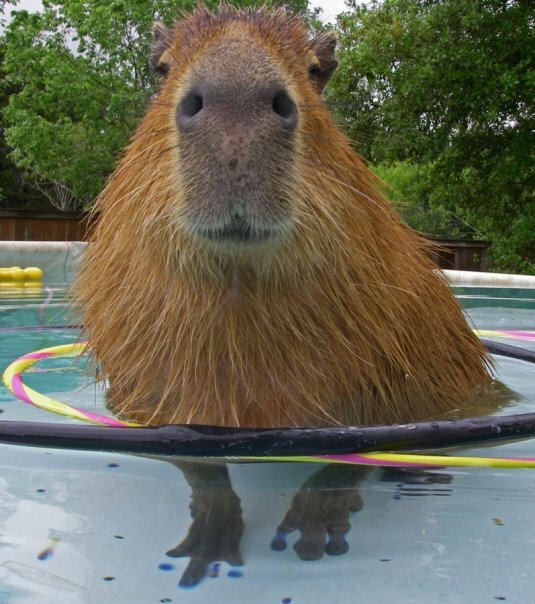 Super Capy and several of his clones had to stand in a pyramid for a long time. 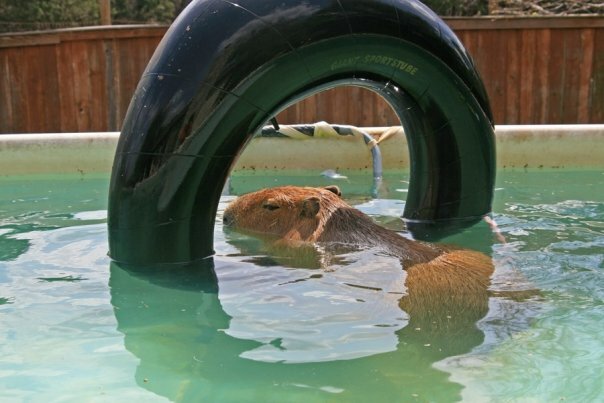 I am glad I did not have to stand in a pyramid of other capybaras. I don’t like to think what might have happened. 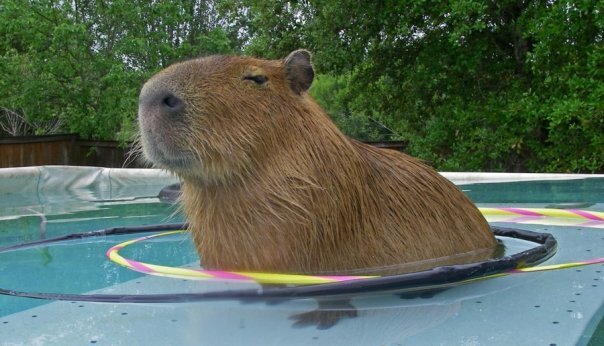 Good thing Super Capy is more easy going than I am. I have to say that, while the camera loves me, I feel it is not going to kind to Melly or Sheldon or even Coral. But that is okay. It is not about them, it is about me. Only I don’t have a crazy obsession. Come to think of it, neither does Melly. 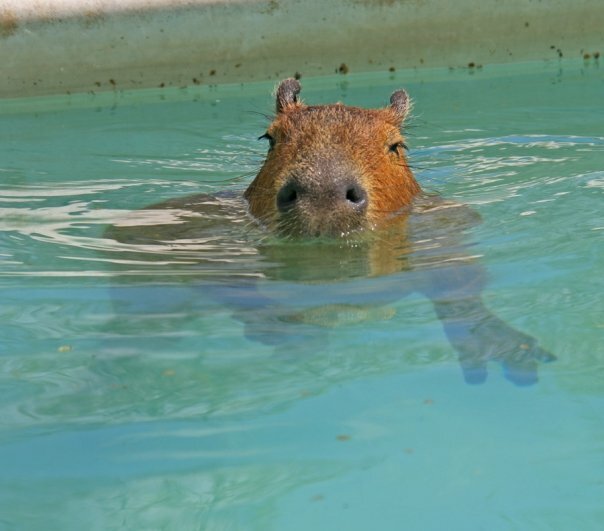 It is not crazy to be obsessed with capybaras. To know us is to be obsessed with us. You can quote me on that. Bless your little heart…you look so tired..stardom fits you well. Can not wait to see you on the telly. You’re absolutely right…to know you is to be obsessed w/you! Well, you may not like the title, but that’s just marketing for you. “My Mild Interest” just wouldn’t attract as much attention. So we’ll just think it’s “My Awesome Pet”. I can’t wait! I will mark my calendar!! my dvr is set. i hope Melly, Sheldon, and Coral aren’t too worried. they cant look near as crazy as the people who eat couch pillows and drink gasoline!!! Humans can be very stupid. 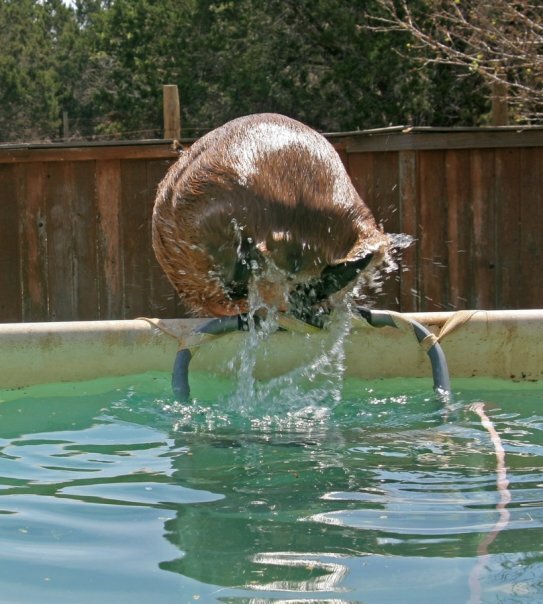 It’s amazing to me that they can be so surprised at what animals do. Of course we blog!!! A reporter came to our house once because apparently the newshumans thought it was unusual to have blogging dogs. You are the sun and star(s)! How adorable you are! Well hello there mr. gary. i just saw a commercial about you on tlc. you are TOO cute! hope my stupid bean mom doesn’t forget to watch that night. 🙂 Gary, i hope we can be friends. — hansel cat. I saw this post last week, but can’t set my DVR to record that far in advance. 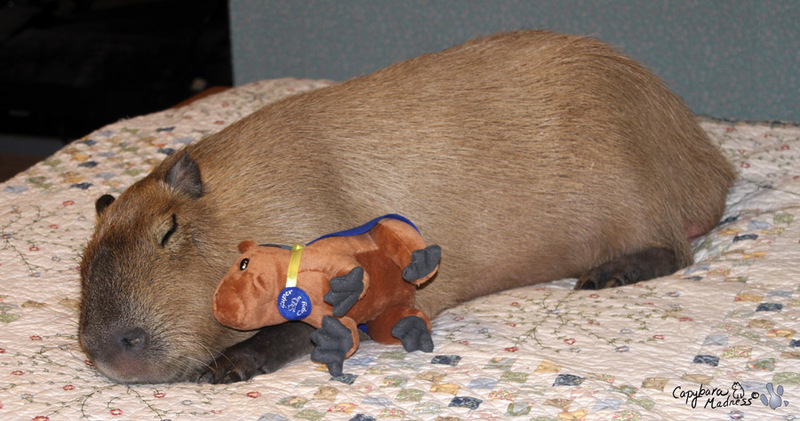 I was just in the playroom and saw our Super Capy hanging out, and that reminded me of the show. So the DVR is all set, and I can’t wait to see you on TV tonight! 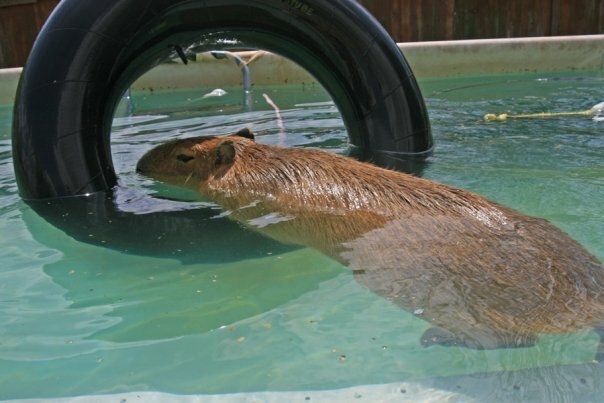 Super Capy saves the day again! Just seen your show n Omg…how freaking cute!!! How nice to see you on TV last night, Gari! A star is born! Greetings! I watched Crazy Obsessions and although I loved seeing you and Garibaldi, I thought that they portrayed you unfairly. I am the owner of three dogs and greatly prefer to spend my time with them when I am through working. You have a job and have raised your children and you have the right to spend your free time doing whatever you like. Some people hunt and call it a hobby. 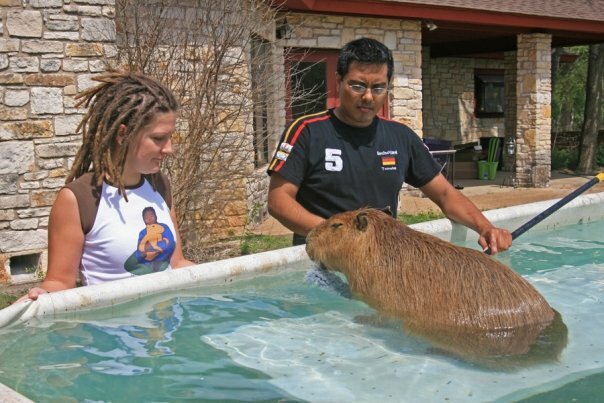 Others donate to the Humane Society and adopt dogs and some even adopt capybaras. Garibaldi is a unique pet and I love watching the videos. I am grateful for your website as well as Dobby’s for learning more about such fantastic creatures.